Daylight Saving Time ends that night, so let’s celebrate the extra hour together. All ages welcome. 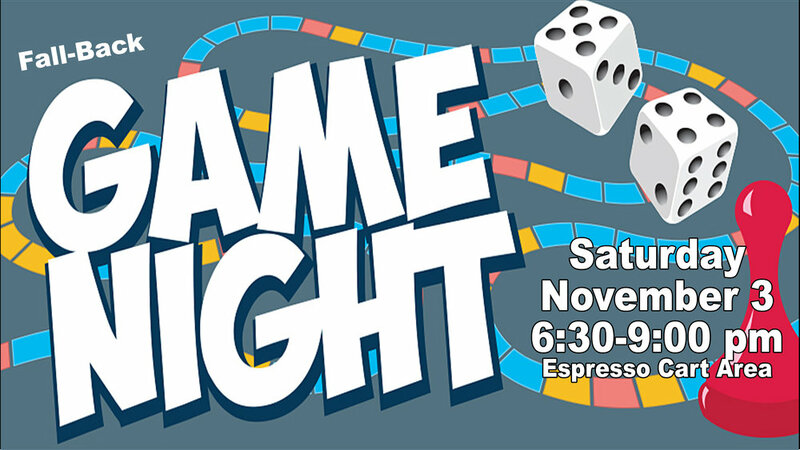 Bring friends, favorite board games and snacks to share. Even if you’re not a game player, please come hang out with us. Enter from the back parking lot entrance.